This gold heart necklace has all the impact of the ultimate symbol of love, devotion and romance right at the centre – the heart. 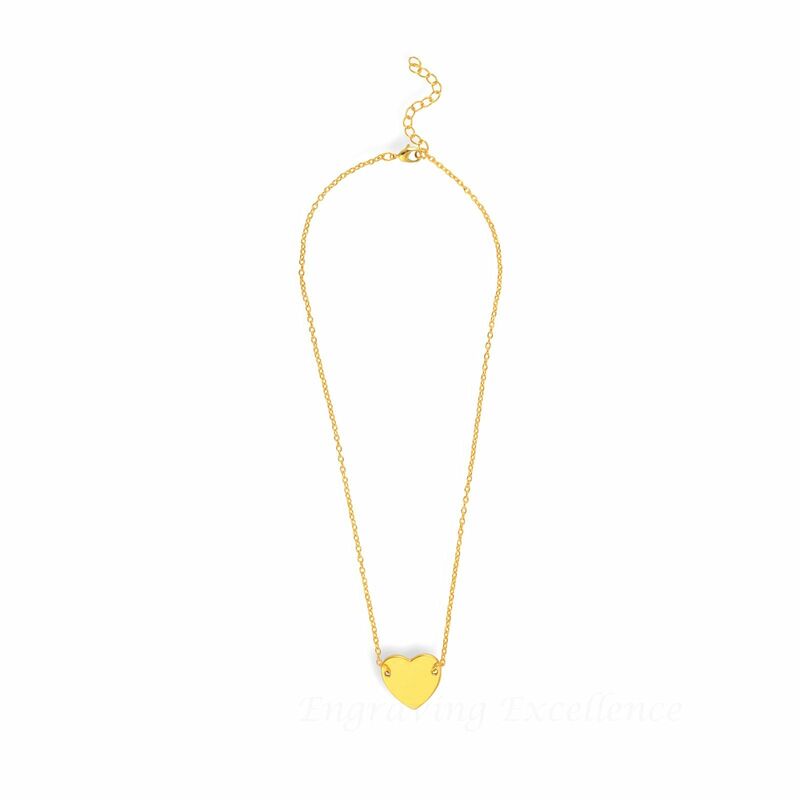 Set on a simple gold finish chain with a lobster claw clasp for ease of fitting and security of wear, this gold heart necklace would make the perfect gift for that special person. You can personalise this gift with our elegant engraving of names, dates or a short message to make a truly unique item of jewellery that shows your thoughtful and caring side. 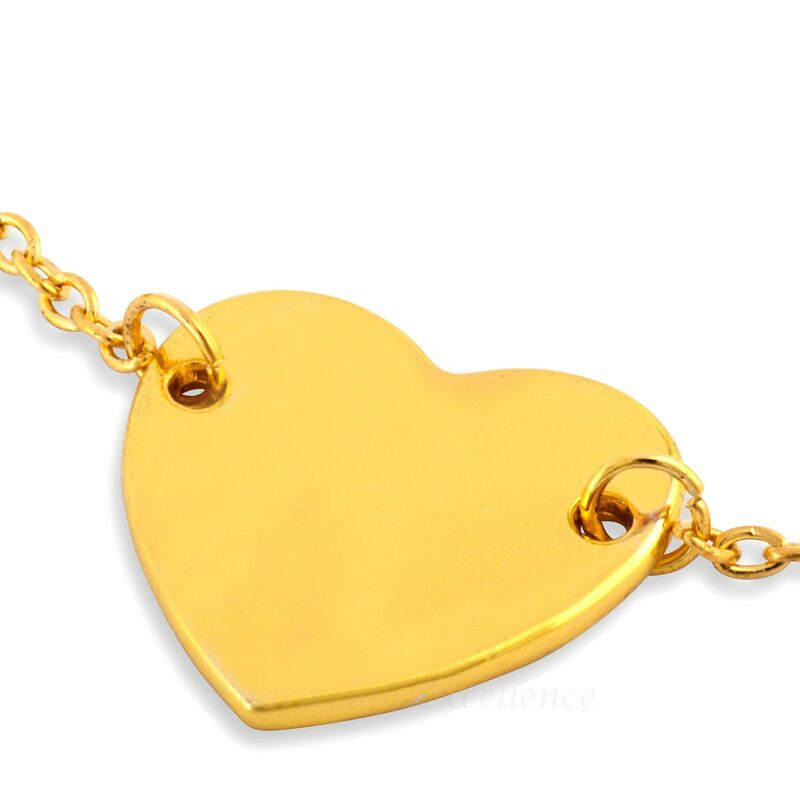 As a gift for Mother’s Day, or for any other occasion such as a birthday, as a wedding favour or as a gift for a bridesmaid, our gold heart necklace goes to the heart of romance and will suit all ages and tastes. On this necklace we engrave onto the heart, and space is very limited, so we would suggest just a name or perhaps a memorable date. One line with 12 characters is the maximum.